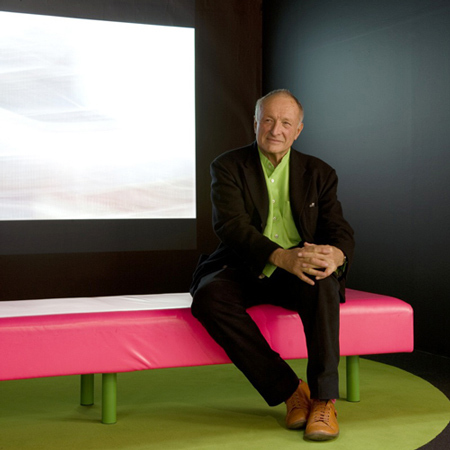 The exhibition Richard Rogers + Architects opened at the Design Museum in London last night, and Dezeen was there to record a conversation between Rogers (above), Design Museum director Deyan Sudjic (below) and exhibition designer Ab Rogers. Click the play icon above to pay the podcast. The exhibition, shown in these photos by Luke Hayes, gives a detailed account of collaborations between Rogers and his partners spanning 40 years. See our earlier story for more information about the exhibition, which was on show at the Pompidou Centre in Paris until last month.